On one of my eternal quests to stay inspired, one day i went looking for new rap music and happened upon Long Island’s Hus Kingpin and Rozewood. I don’t know a great deal about either but i have seen their music being championed over at Ego Trip and Nah Right in recent months. I remember emailing links of their stuff to a handful of my friends and the response was a reply of general indifference, “yeah that’s kinda cool, meh” keep it moving. I think it’s time to start spreading the word on these two guys. Where the recent spate of Roc Marciano features have had me essentially looking straight past them, Hus and Rozewood are rekindling that feeling i used to get when listening to The UN or when i first heard Marci’s magnificent “Snow” and “War Games” long before Marcberg had everyone screaming “Al Pacino with a tan”s praises. High Rises was the first joint i heard that really piqued my interest, reminding me a bit of that old B-1 aka B-One 12” that dropped on Rawkus, Empire Staters / Verbal Affairs. Hus and Rozewood don’t slouch on their output either both having released numerous albums, mixtapes and iTunes singles over the course of the last few years. This clip is taken from their free 100$ Taper album of mid last year. 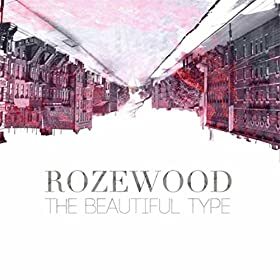 The most recent full length release came via Rozewood’s The Beautiful Type which dropped in December 2014. Produced entirely by Illatrate and featuring appearances from Hus Kingpin, Boog Brown and SmooVth. Rozewood talks The Beautiful Type and the process of working with friend and producer Illatrate. If talent were gauged on youtube views then these two dudes should be getting 200,000 plus views per video but they’re not. In saying that though, i have noticed the underground starting to pay more attention to these more than deserving MC’s. A quick YouTube search will have you discovering the amazing quality of music Hus and Roze are putting out at an alarmingly efficient rate, with flows and cadences reminiscent of a hungry Roc Marci or even Planet Asia and a left of center lean that reminds me of Alchemist and Oh No’s Gangrene project. Head over to iTunes or Amazon and start supporting this grass roots hip hop movement today! But before you do peep how Hus and Roze do their thing over a beat originally found on The Alchemist’s Rapper’s Best Friend vol. 3.